I have always categorized myself as “sensitive” and “emotional,” and for whatever reason, I am currently even more so this past week. During these phases, I am prone to feeling like an outsider… overlooked, unseen, and forgotten. At times, I have let those irrational feelings get me down. So yes, I am trying to look at the silver linings, and realize what is important (or not important), and to feel grateful for what I have and who I am. 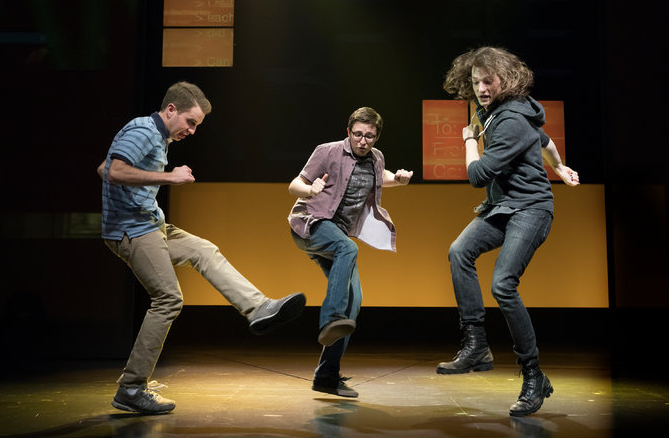 So it is no surprise that when I saw the Broadway show “Dear Evan Hansen” this week, it struck a chord… a number of them. The music is fabulous, too. To read a review, go here. 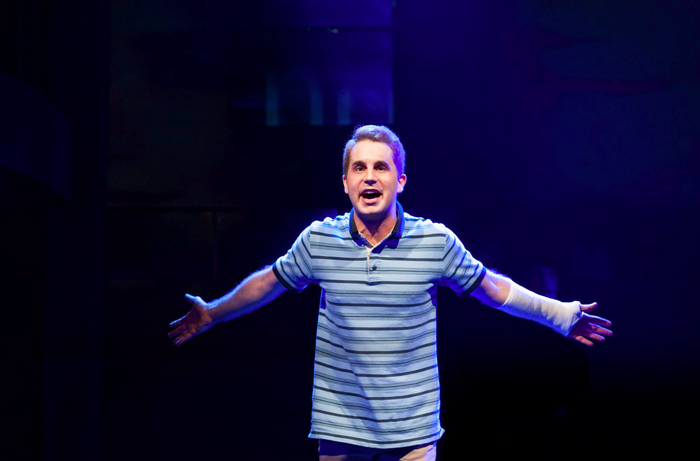 To see a more detailed article on Ben Platt (my boyfriend), go here. To buy tickets, go here. Caution: The Tonys are on June 11th, so I suggest buying tickets beforehand as this show will most likely sweep the Tonys . 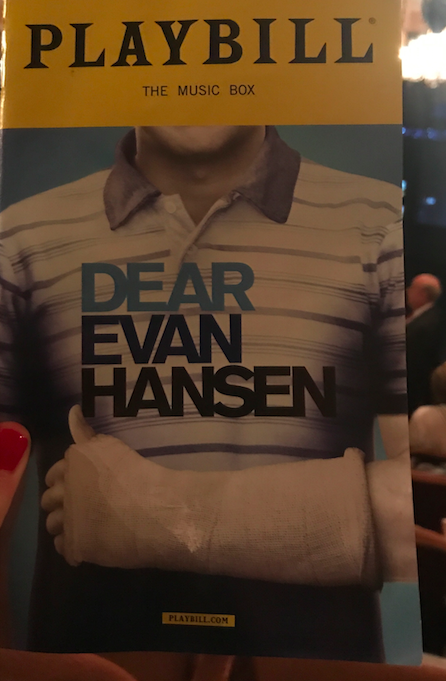 Ben Platt is in contract to stay until November 2017, so go see the show before his departure — he is remarkable. Move over, Lin Manuel Miranda, Ben Platt is my new boyfriend! To be short and sweet, (and not overly emotional), you must go see this. It is the new Hamilton. So worth every cent, every tear, and every feeling of discomfort. Don’t you just love musicals that keep you at the edge of your seat? Can’t wait to see this one. Also I completely agree with your comment on Ben Platt, I fell in love with him immediately after Pitch Perfect! Thank you for sharing your experience with us, Anika! I’m definitely going to purchase tickets for this exhilarating show! You had me at “Ben Platt”. Broadway, take my money already.